[Review] Haikyuu S1: No Longer Fallen Champions! Haikyuu is a 25 episode anime about volleyball and very thirsty characters. At the beginning we’re introduced to our two main protagonists, Hinata Shouyo and Kageyama Tobio. Kageyama is the setter for his team, he’s known as the “King of the Court,” and because his school is a powerhouse, it’s implied they’re one of the top contenders for nationals. On the other hand, Hinata is the captain of his little rag tag team of first year noobs and his best friends. They’ve never been in an official match before and they pretty much know they’re not getting far. It’s pretty obvious how the first episode will turn out: Hinata will be defeated. And he is defeated in their match, but that loss ignites a fire in him to train harder. He now has a goal to defeat Kageyama in high school! This is actually where the story really begins. Kageyama and Hinata are now on the same team, however, because of their past (episode 1) and Kageyama’s belief that Hinata is useless, they start off with some trouble. Mainly that they can’t be part of the team unless they learn to cooperate with one another. It’s actually during this time that we learn that Hinata wasn’t the only one that suffered loss during his Junior High days. Outside of Kageyama and Hinata needing to cooperate, we also learn that Karasuno already had its own problems to begin with. We’re introduced to new characters like Noya (libero) and Asahi (Ace), and the whole loss during the last tournament when they were shut down by the Iron Wall. Every time they played, all the players (mostly) gave it their all and that always got me in the mood to cheer for them 100%! Two teams that were set up as Karasuno’s rivals were Nekoma and Aobajousai (Seijou). Nekoma seemed to be a fated rival from years ago because their former coaches were rivals. Seijou became a recent rival because they were the powerhouse Karasuno had to defeat in order to continue towards nationals. Seijou also consisted of Kageyama’s former teammates (and senpai) who still viewed him as the King of the Court. In a sense, beating Seijou wouldn’t just signify that Karasuno would regain their acclaim as a powerhouse school, but that Kageyama had grown as a setter. We got to explore some of these characters’ back stories, such as Oikawa’s frustration of losing to Shiratorizawa and nearly hurting those around him. And like the battles between rivals, the game against Seijou was my favorite one! I remember Coach Ukai mentioned that the teams Karasuno had the most difficulty with were those with power and intelligence and both Nekoma and Seijou fit the bill perfectly. And like all tournaments, loss is inevitable. In terms of individual characters, specifically Karasuno’s team, the series did a great job showing the despair, fear, frustration, happiness, and overall feelings the team had from start to end. However, it also tried to show the loss of other teams and I wasn’t very convinced. Who were these people? Why should I care if they lost? Overall, I seriously recommend this series! When I first watched this I rated it a 9 for Great! and having rewatched it I’d say it gets an 8/8.5 for Very Good, but only because I know how much more the characters have grown in later episodes. The animation was great, the music alright (nothing really sticks but loved all the beginning songs), and the feelings and companionship was awesome. If you don’t know how to play volleyball we do get explanations all the time from and for Takeda-sensei (the teacher in charge of the team) since he’s a volleyball noob too. Next [Review] Haikyuu S2: Gearing up for the Spring Tournament Finals! I wasn’t ready… nothing had prepared me for all of the emotions and yell ( my neighbors weren’t ready either) lol, but this was a great read! Do you plan on revisiting the 2nd season too? Aww okay!! Lol I do that too from time to time, rewatch a series and find all these new things I missed/forgot the first time around! Oooh do tell, which episodes were your favorite in season 2? Like for this blog! 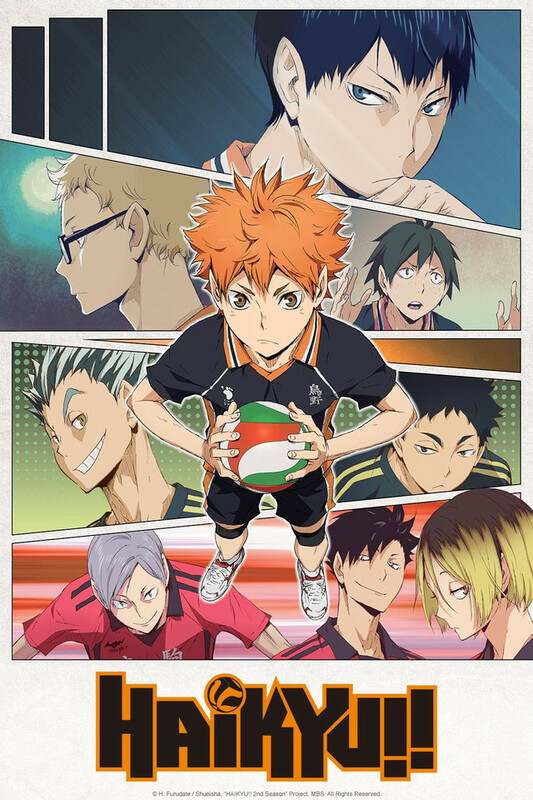 Haikyuu is my favorite sports anime and also one of my favorite anime’s in general. I write about it weekly on my blog and finishing season 1 recently, I just realize that Haikyuu has so many philosophies and metaphors what we can learn and apply in every situation. Haikyuu is definitely one of the most motivated sports anime! One of the best sport shows I have ever seen.